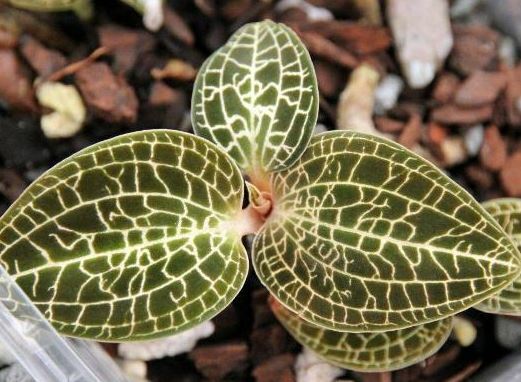 A beautiful jewel orchid perfectly suited as a focal point for the tropical vivarium. Grows terrestrially under lower light levels and high humidity. These are young plants about 2" across established in 2"pots.